WordPress is one of the best platform for the developers, bloggers, writers and freelancers. WordPress provide an structure to your website. When you are creating your own website or blog, the first thing on your mind is On which platform you choose? Whether it is WordPress or Blogger. If you are a skilled person or webmaster than no doubt you have to choose an WordPress theme. Now the question arise which are the best, unique,free WordPress templates of 2015. We have already written on WordPress premium templates of 2014. Now in this post you have read some of the best WordPress templates of 2015. 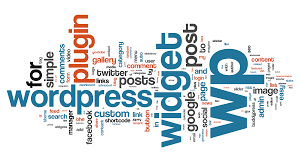 WordPress is the mostly used platform which is used all over the world. There are thousand of free templates are available on web which is used by the various businessman. You can surf on web and choose any of them. But do not waste much time, here i will provide the best WordPress templates of 2015. You can also check their features, advantages, demo etc. Some of them are free and some are paid templates. These are the free best WordPress templates which are suited for running any kind of e-commerce, blogs or magazine themed WordPress websites, with support for advertising. So have a quick look over all these best WordPress templates of 2015. The first WordPress theme of 2015 is Oceanus. This template having an advanced features inbuilt like custom menu, navigation, featured images, widgetized sidebar etc. These are all the key features of Oceanus. You can adopt this WordPress theme and make your blog unique and attractive. An wonderful theme for WordPress platform. You can use this for the better enhancement of your blog. It provide various features like custom menu, Custom welcome message box , widgetized sidebar etc. Its one of the best recommended platform and template for your blog. It is one of the responsive template of 2015. It is placed on number 3rd position of best WordPress themes of 2015. Some main key features of this template are It has a responsive design structure, a Widgetized Footer With Three Columns, contact form, Threaded comments, provide ad banner, and fully supported theme. Again its a free WordPress template of 2015. The mainly features:of this theme are it has a neat, clean and very cool design, moreover it has a three column footer which gives an attractive look to the blog. Some other features are translation ready, Google front integrated, drop down menus etc. Its a free template. Revera is a responsive theme which has a custom homepage and portfolio page template. Some extra features are it has a custom menu, footer and sidebar widgets plus it has a featured images option. You can use this template on your blog. Nibiru was the clean and responsive design. Its totally free of cost. The main features of this theme are it has a colorful template with slick slider with 370 icons. Some others feature of this template are carousel, clients, slider title, galleries etc. Various codes are available in this theme. It has an e-commerce theme which is designed for shops with larger catalogs. Shopo is one of the best, attractive and free WordPress template of 2015. It has a feature of larger display space. It also provide an dual navigation system in the header part. Some other features are welcome message, feature slider and a product slider. Its come on 8th position. One of the free, responsive, neat design template of 2015. It provide an contact page, with a variety of shortcuts code. More features are multicolored related posts widgets, search engine optimized etc. ONE is one of the free and responsive parallax template with a clean and modern colorful design. The main features of this theme are it has a page builder. This theme also create any number of layout combinations. Plus it provide an WooCommerce support, portfolio layouts, it support for post formats and video support. It one of best template which is totally free of cost. It is suitable for magazine-themed websites. Content are shown in a very pleasant way. These types of styles are found in newspaper, websites, magazines etc. This template has a staggering 42 pre-built layout options that offer a lot of flexibility in customizing the website. This theme provide sufficient options to build as complex a website or blog as required.